Haryana, a vibrant state, abounds with the offerings in the tourism sector. Over and above the state also has a hill station of its own. Yes, you heard me right. 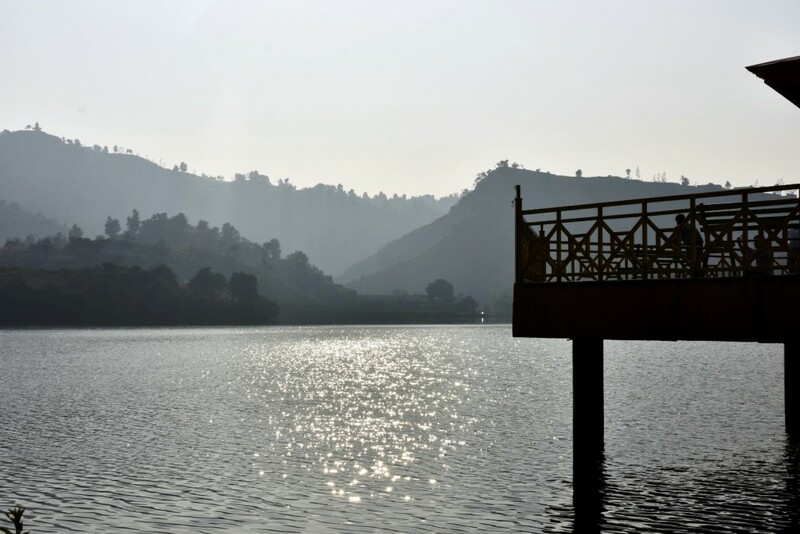 Situated in the lower reaches of Shivalik range at a distance of 45 km from Chandigarh and 35 km from Panchkula, Morni Hills is the best of an idyllic retreat with cool clime, beautiful vistas, and light adventure sports. There is a vast history associated with Morni. From Gurkhas to Rajputs to Mughals to Britishers, all those powerful kings had ruled Morni. 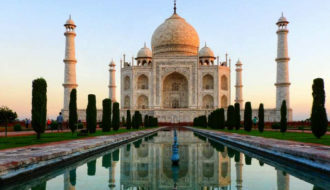 The placed is believed to be named after a queen who once ruled the area. 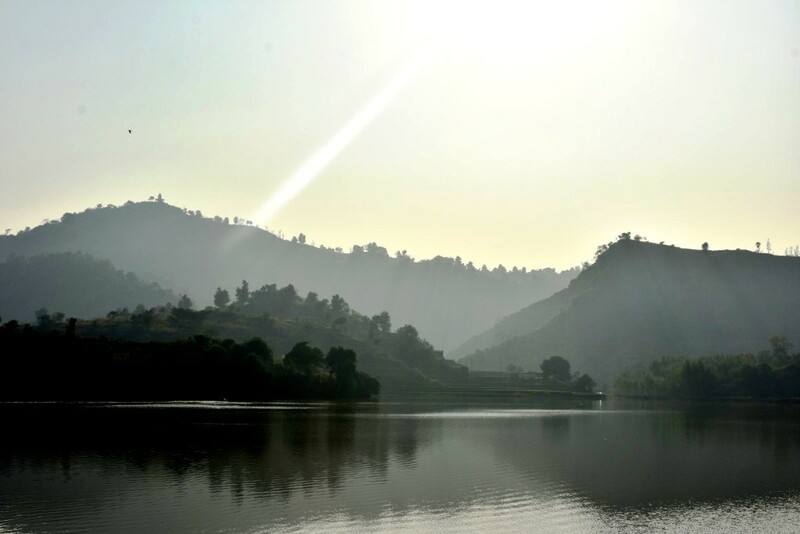 There are two lakes in Morni Hills separated by a hillock which are connected to each other in a mysterious manner that the water level in both these lakes remains same all the times. We started our journey from Mohali at 11 AM after breakfast. We took the road to Morni via Gurudwara Nada Sahib and after about an hour we were driving through the hills. The atmosphere of the place was filled with the relaxed and kind air associated with vacationing. Since Morni is less frequented, so we found hardly one or two cars and a handful of villagers on the way. Not many know about this beautiful place so the calm and serenity this place offers remain unmatched. 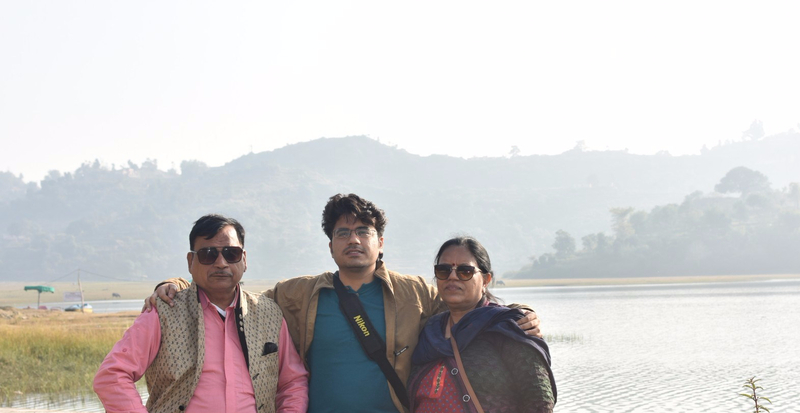 Tikkar Taal is a man-made lake divided into three parts: Tikkar Taal, Bada Tikkar and Chhota Tikkar. 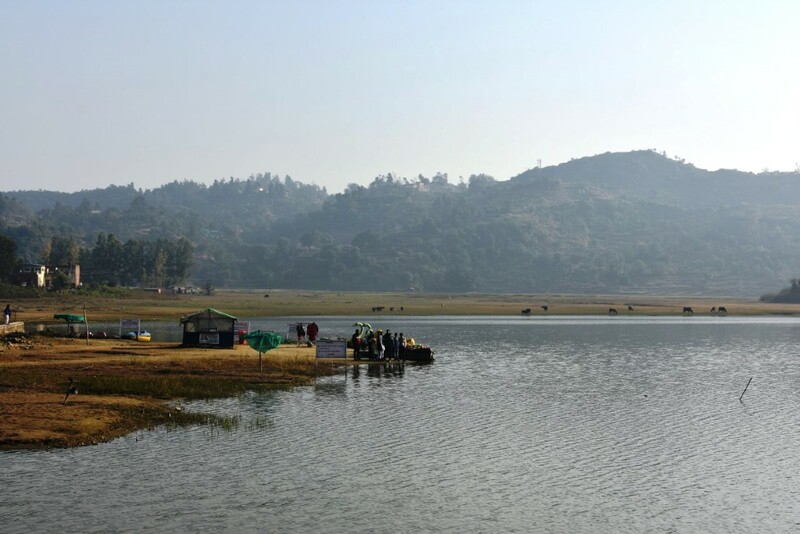 Bada Tikkar and Chhota Tikkar are relatively small in size whereas Tikkar Taal is a very large and beautiful lake lying in the lap of Shivalik hills. There was a walkway above the lake with a covered hut at the end where one can stand to admire the lake beneath. 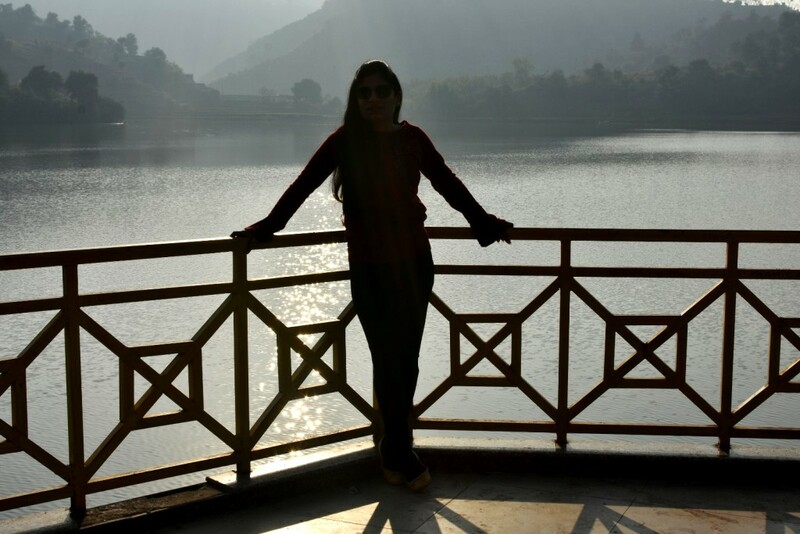 We clicked loads of pictures posing and adoring the lake. 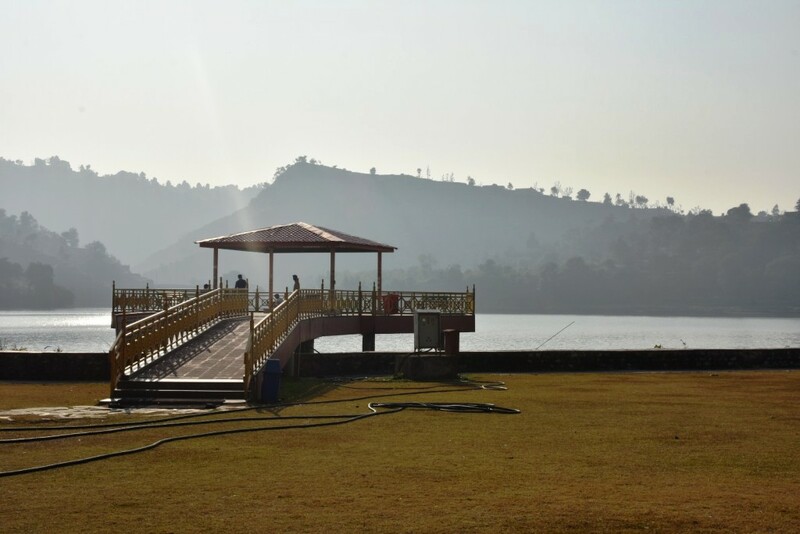 You can also just walk lazily on the grassy ground alongside the lake or can try your strength at adventure sports and trekking. Fresh air, the warmth of the sun, and a great view – there’s nothing quite like dining outdoors. A perfect picnic-spot! And my dad decided to open the magic basket containing our sumptuous lunch. A word of prudence here, always come prepared with eatable here in Morni as the food is expensive as well as below average in taste. It was time for the sun to bid goodbye to the sky and while leaving it left behind the trail of its reflection which was enhancing the beauty of the lake even more. When I am amidst nature, I am ignorant of anything and everything happening around me. It is just nature and me. I was looking at the soft flowing water, the sunlight shimmering on the water, the distant boats and the open air that smelled fresh as a baby post-bath. It was hypnotic! Picturesque landscapes simply had to be captured for recalls and retelling in the future. 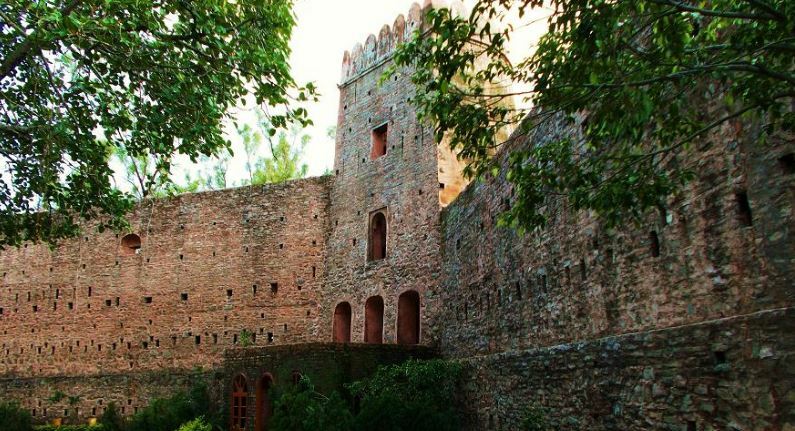 A gigantic fort is sprawled at the top of the Morni hills which gives a wide view of the Morni town and tells the story behind its existence. The Fort was built sometime in the 17th Century at a height of about 1200 meters. It was in a state of ruin when the Haryana Forest Department took over its possession in 1977 from the Mirs of Morni. There were holes in the Fort walls which were used for attacking enemies through guns. The interesting thing about holes is that you can peep outside through holes while standing inside the Fort, but you can not look inside from same holes while standing outside the Fort. A strategic way to avoid enemy attacks. 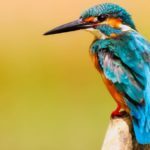 This place is paradise for all the nature lovers as there is a large variety of birds found in here. 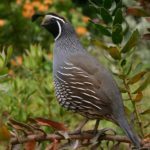 Birds like Crested Kingfisher, Quails, Wallcreeper, Kalij Pheasant, Red Peafowl, Black Francolin, Himalayan Bulbul, Bar-tailed Treecreeper, Grey Francolin and Oriental Turtle Dove are some of the often witnessed birds in the area. One can even spot animals like jackals, hyenas, sambhars, jungle cat and even a leopard. The adventure park is located just before the steep 7 km climb to Morni. It offers a series of rope obstacles such as the spider’s web, river crossing, Tarzan’s swing, the Burma Bridge etc. There is also a rock climbing, bouldering and rappelling area within the park precinct. 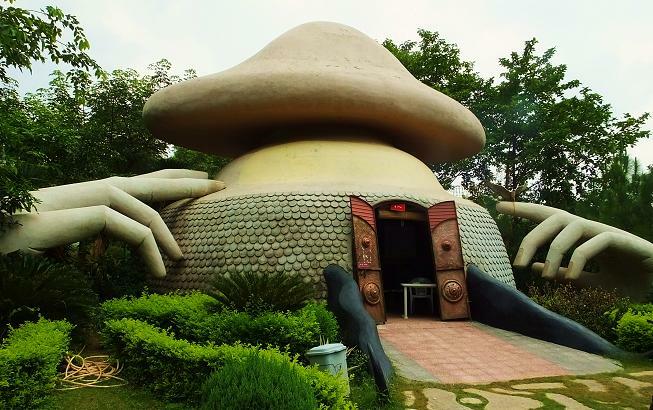 The park also has amusements centers like the house of horror, the tree house, a maze and a children’s park with swings and slides. Park entry is Rs 50 for adults and Rs 30 for kids. 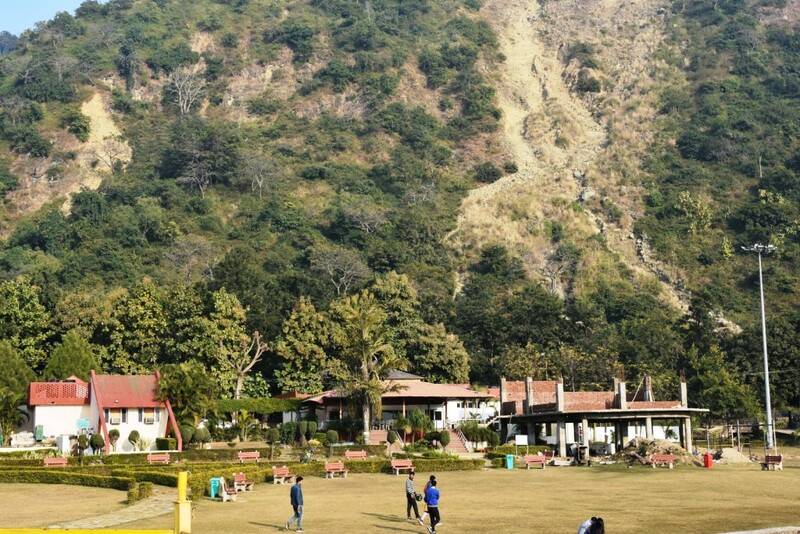 At Morni, Haryana Tourism caters to tourists here with its Mountain Quail tourist resort which is named after the quaint ground bird . This is a comfortable motel that is situated ideally on the hilltop overlooking a beautiful valley. 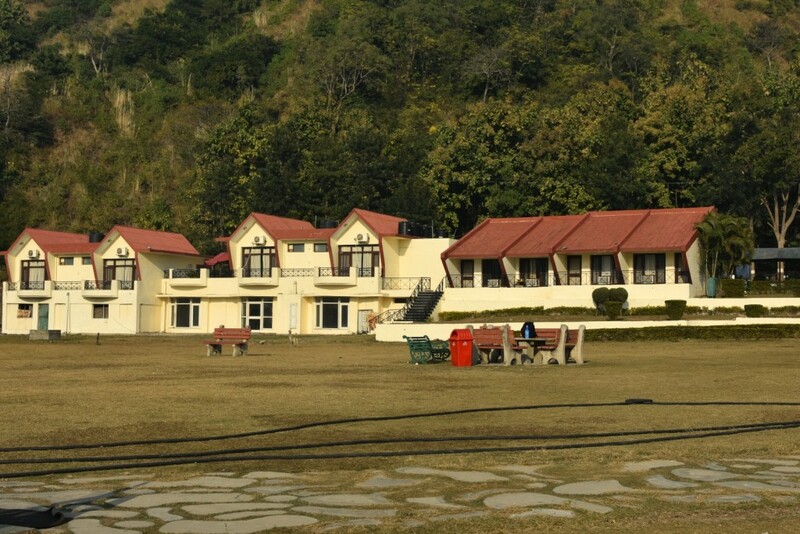 A delightful restaurant and a lush green lawns beckon tourists. 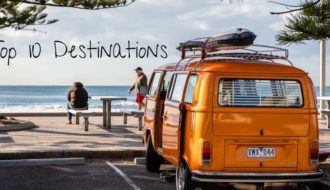 Best time to visit is from September to March as the climate is cold and pleasant. It is advised to avoid driving once it gets dark as there is lack of proper light arrangement on roads around Morni. Get your vehicle tanks full before embarking this journey as you won’t spot any in the hills. You can also hire a cab or a taxi that will cost you around 2000 up and down. You can also visit Nada Sahib Gurudwara where Guru Gobind Singh halted while traveling from Paonta Sahib to Anandpur Sahib after the Battle of Bhangani in 1688. Close your eyes, breathe in deeply, be in the moment and pretend you are standing amidst mountains. Let nature take over! If it grips you, this was exactly the sense of joy this place gives you. There would be no overstatement if I say Morni Hills is a perfect destination for those looking for fresh air, green surroundings, chirping of birds and escape from humdrum of busy city life. 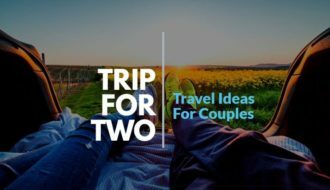 Let us know how do you like the post by leaving a comment below and don’t forget to subscribe diextr.com for interesting travel stories. 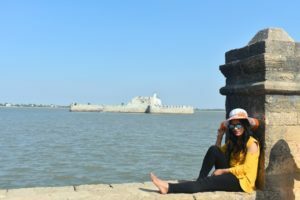 Very nice miss Swati keep it up also share this kind of peacefull places with deep details like how to go and enjoy a day…. Thanks for liking the content 🙂 Sure, I will add more details on how to reach that place.